Justin Bieber and Hailey Bieber may have just tied the knot. An insider confirmed their newlywed status to E! News on Friday. According to the source, the 24-year-old singer and 21-year-old model exchanged vows on Thursday during a courthouse ceremony in New York. A courthouse source said the two arrived around 4:00 p.m. that day. The wedding took place just a few months after Bieber popped the question. The "Sorry" singer proposed with a shiny sparkler during their trip to Baker's Bay in the Bahamas in July. "The proposal was a very happy moment and Hailey was taken off guard," another source told E! News. "Her face was in shock but you could tell they are both so in love." The pair certainly has quite a history. 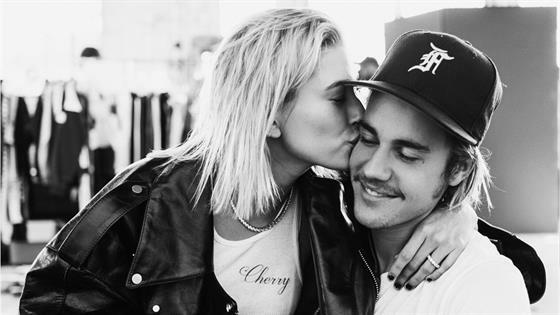 After being friends since their early teenage years, Bieber and Baldwin sparked romance rumors in 2014. Bieber even described Baldwin as "someone I really love" during a 2016 interview with GQ. However, Baldwin later told E! News they weren't an "exclusive couple." She also discussed their past during an interview with The Times UK. "Justin and I were friends for a long time," Baldwin told the newspaper. "I met him when I was really young and he was one of my best friends. Everybody knows that at a certain point in time that turned into something else, but that just happens when you're 18, 19. It was what it was. We went through a long period of time when we weren't friends. We didn't speak for quite some time and there was a lot of weirdness that went on. We've moved past that." After a bit of a break, during which Bieber revisited his relationship with Selena Gomez, the two reunited. They hinted they were back together earlier this summer after they were spotted packing on the PDA in Miami and New York.